According to The National Association of Realtors, the 5th highest number of home sales in our nation’s history were in 2007. 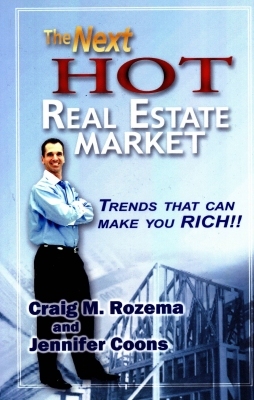 Over 20% of those near-record home sales were to investors or “People who realize that NOW is one of the best times in the history of our country to buy and invest in real estate,” says Craig Rozema, a real estate investment specialist and author of the new book The Next Hot Real Estate Market. So why is it that banks, investors and Americans are going broke, while others are making more money than ever? Find out with these tidbits from Rozema’s book on how you can capitalize on the economic housing crisis. Craig Rozema is the Managing Member and national spokesperson for Craig Martin Investments. He has been firmly ensconced in the real estate world for over two decades, during which time he has developed subdivisions, built new homes and commercial properties and currently maintains a sizeable portfolio of income properties. You can visit his website CraigMartinInvestments.com for more information.